Conservation insights from Thailand's Khao Yai National Park. Click to support FREELAND's conservation and community outreach work at Khao Yai. Farmers, community leaders, development workers and protected area managers from 11 Asian countries are learning how the humble mushroom is helping rural Thai people overcome poverty and protect their forests. This week, FREELAND’s alternative livelihoods program in Northeastern Thailand welcomed its latest series of international study tours. Organic mushroom cultivation techniques and local business models were demonstrated and explained on site at FREELAND’s Farm & Training Center in Wang Nam Keow, beside the World Heritage listed Khao Yai National Park. Through mushroom cultivation training, business establishment loans and marketing support, FREELAND’s “Surviving Together” program is helping ex-poachers become organic mushroom farmers. Study tour visitors met successful growers and shared their ideas and experience on organic farming and outreach to impoverished communities vulnerable to recruitment by traffickers in wild animals, plants and timber. 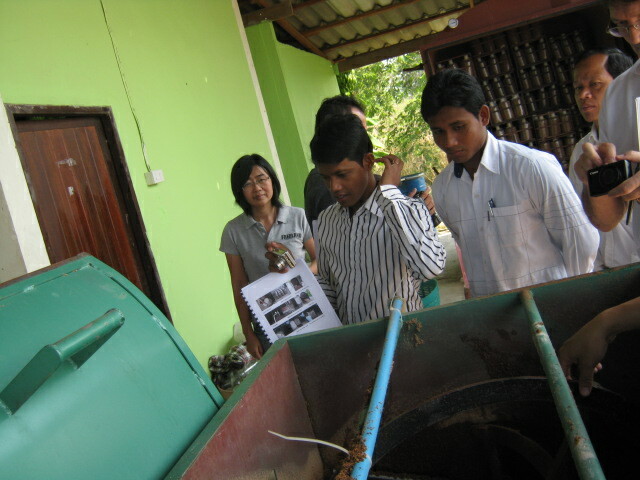 “I learned a lot of things related to mushroom growing, agriculture and park preservation that I really want to apply in my community,” noted Touch Sophany (pictured third from left below), a Community Development Officer with Wildlife Alliance in Cambodia. 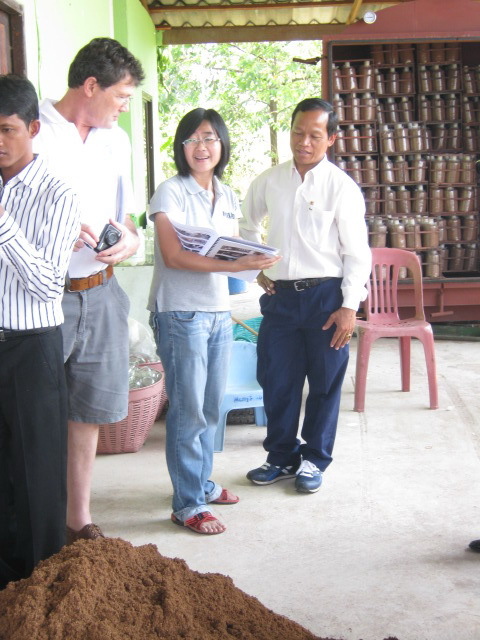 Using a multi-language manual, FREELAND hopes to extend the training to Laos, and other neighboring countries to help communities living next to forests make the switch to eco-friendly organic mushroom farming. The Food and Agriculture Organization of the United Nations is also helping to share the program’s approaches and tools, after visiting the farm with the group. “Many countries face the same problem of forests being sacrificed to development and short-term gain, but there are solutions, as we’ve proven here. We want to share our success with others and exchange ideas,” says Mukda Thongnaitham, FREELAND’s Community Development Manager. FREELAND’s Surviving Together program receives assistance from the U.S. Fish and Wildlife Service and the U.S. Agency for International Development (USAID), who’ve sponsored these study tours to help share the program’s knowledge and benefits across Asia.